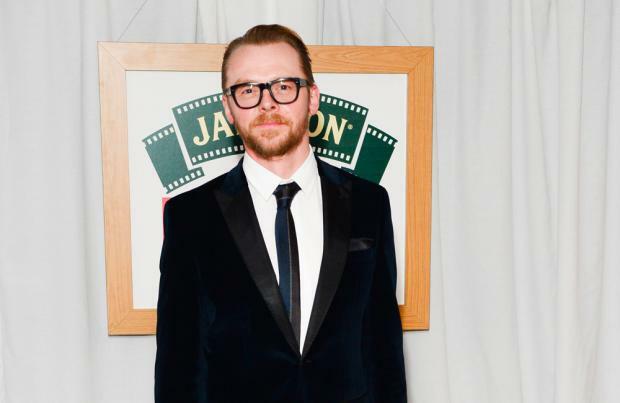 Simon Pegg will star in 'Star Wars The Force Awakens'. The 45-year-old actor is set to fulfill a life-long dream and appear in the latest addition to the Star Wars franchise as an alien. The news was announced during a behind the scenes film which was shown at Comic Con in San Diego, US which saw him in costume. Speaking to the camera, he said: "My whole life has lead to this moment. I'm in heaven." Later on in the piece he appears with a flannel on his head and gushes: "It's Star Wars. I burn for Star Wars." JJ Abrams introduced the video at the Comic Cons exhibition in San Diego, US, and footage shows the different sets, the planet Jakku, special effects props and interviews with actors - such as Peter Mayhew who plays the famous Chewbacca - in their costumes. Simon had previously hinted that he would appear in the movie. He said last year: "I feel like my face in Star Wars would pop people out of the movie. Look, I love Star Wars, and I don't want people to watch and go, 'Oh, there's Simon Pegg's face'. He added: "The film is cleverly cast with these amazing, unknown actors."